With the commissioning of our new gym and open house behind us, it is a good feeling to know that our community continues to look forward, providing the best education possible in the best facilities possible for our students. Our new gym has been utilized since day one with physical education classes, practices, and walkers from the community. None of this would have been possible without the tremendous support of our community. Thank you. Our new gym is just one example of the way our community has had a direct impact on the lives of our students. In reflecting on what it takes to raise our children, I have been overwhelmed by the number of different people who influence our students as they “grow up.” From parents and guardians, brothers and sisters, grandmothers and grandfathers, aunts and uncles (family) to neighbors, educators, police officers, pastors, counselors, social workers, therapists, and medical providers, the list is endless. Each one has an influence on our students and who they will be in the future. Trust is built with every interaction, conversation, and relationship, and when a student trusts there is often respect. This trust and respect over the years often leads to an influence that impacts the future direction and trajectory of our students’ lives. It also seems that the more time students spend with each of these individuals, the greater the influence on them. It is no surprise that our students usually reflect the values and priorities that they see modeled at home, since much of their time is spent at home with family. Values and priorities that are reinforced at home have a huge influence on who our students will become, as well as the perspectives they bring to school with them each day. Another component that seems to have an impact on students’ lives is that of peer interactions. Whether for good or bad, peer influences are real, and as principal I have a front row seat to observe the results of the choices students make on a daily basis- many of them based on peer influences. In most cases peer influences are positive, encouraging social adherence to norms and expectations. Students usually influence one another to maintain the social standard. In a few cases, students influence each other to do things that are not beneficial. Because of this fact, it is of the utmost importance that we all do our part to watch out for our youth. The accountability provided at home is often one of the greatest hinge points for student success. When families support positive values and choices and reinforce the general expectations of the school, this sends a clear and consistent message to our students. This said, it takes much more than just families and schools for our children to realize their full potential. 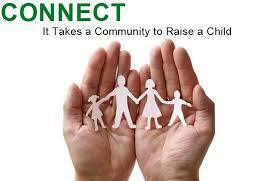 Each one of us has a role to play as we help the children of our community mature. We should not be afraid to share a smile and intentionally ask a student how it’s going. Take time to invest in student lives by volunteering in youth programs at school, church, or in the community. Be the neighbor that cares. If you see something that doesn’t look quite right, say something. Let’s face it, it can be tough being a kid, and our children need all of us working together to help them find success in life. Thank you for all you do to make our school, district and community great. This is a place people choose to live because of our small town values and priority on education. I want you to know that I look forward to continuing to work with our community to help make our schools the best place they can be. It truly takes all of us working together to help develop the full potential in every student. Thank you for your support.